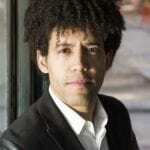 Askonas Holt is delighted to announce the signing of Rafael Payare, the winner of the Malko Conductor Competition 2012. Since he began his formal conducting studies in 2004 with José Antonio Abreu, Rafael has developed a flourishing career, having conducted all the major orchestras in Venezuela including the Simón Bolívar Symphony Orchestra both in Caracas and in Toronto as part of their 2009 Canadian tour. In the coming seasons, Rafael will debut with the Gothenburg Symphony Orchestra, RTE National Symphony Orchestra, Auckland Symphony and the Orquesta Palau de les Arts in Valencia. He will also be Assistant Conductor with the Los Angeles Philharmonic at the Hollywood Bowl in August 2012.